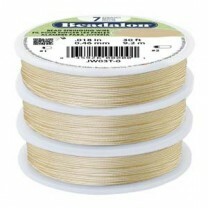 Beadalon® Beading Wire, Silvergold, 7 Strand, 0.38mm Diameter. 9.2m Spool. Sold individually. Beadalon® beading wire is created with a silvergold coating over bright stainless steel wire. It is strong, hold its shape well and kink/abrasion-resistant. 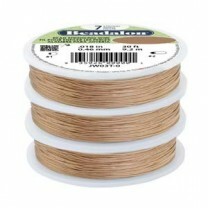 Beadalon® Beading Wire, Copper, 7 Strand, 0.38mm Diameter. 9.2m Spool. Sold individually. 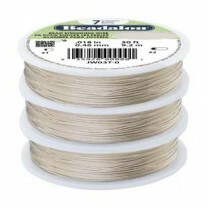 Beadalon® Beading Wire, Champagne, 7 Strand, 0.38mm Diameter. 9.2m Spool. Sold individually. 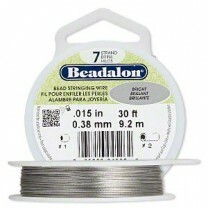 Beadalon® Beading Wire, Bright, 7 Strand, 0.38mm Diameter. 9.2m Spool. Sold individually.